Buy your Valentine, or yourself, a floral or dessert-y treat that lasts and lasts. To mark the holiday of love, Alicia of Sweet Sheep Body Shoppe is offering 10% off your purchase of $18 or more through this Sunday, Feb. 15. 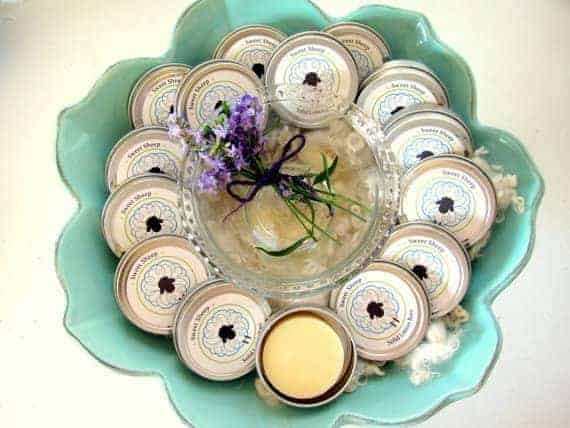 Use the code love10 at checkout for a discount on two lotion bars or a gift set of three lotion bar samples. 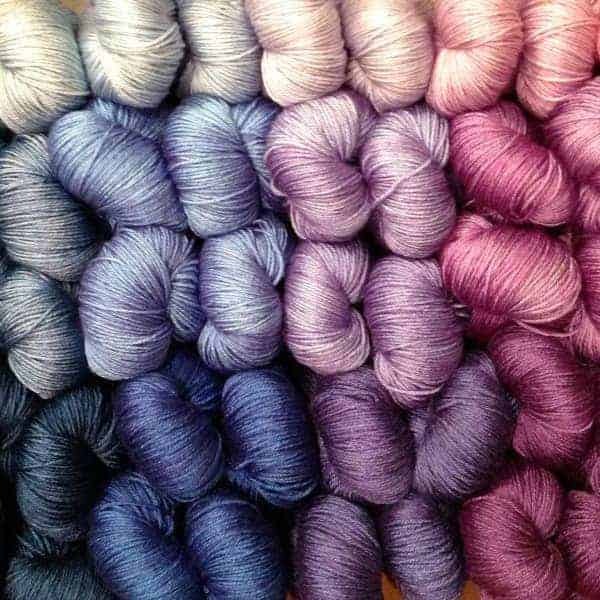 We knitters do love to collect shiny objects… So, here’s another indie dyer to obsess over. Dami of Magpie Fibers launched at the end of last year, and brings bold gradients to luxurious bases. The name Magpie Fibers actually comes from the vintage part of Dami’s jewelry line, made up of flea market finds that she up-cycled. So, pretty perfect for the items we’ll add to our stashes. 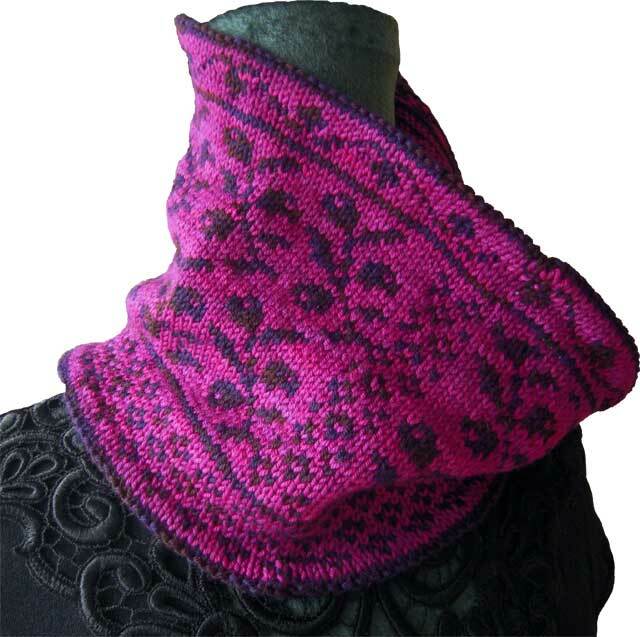 If you want some color in your winter wardrobe, and not just on your cheeks, try Vinterbär, a new cowl pattern from Laura of Fiber Dreams. Swedish for winter berries, this new design, worked in the round, features folded hems and three different Swedish colorwork motifs. 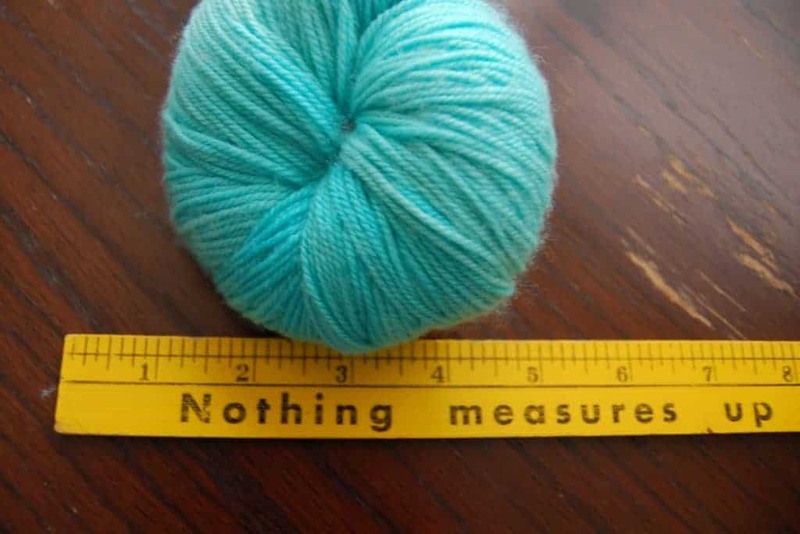 Receive 15% off with the code VINTERBAR on Ravelry and Love Knitting. The latest Broadway musical-inspired colorway from Eternity Ranch Knits is loverly. 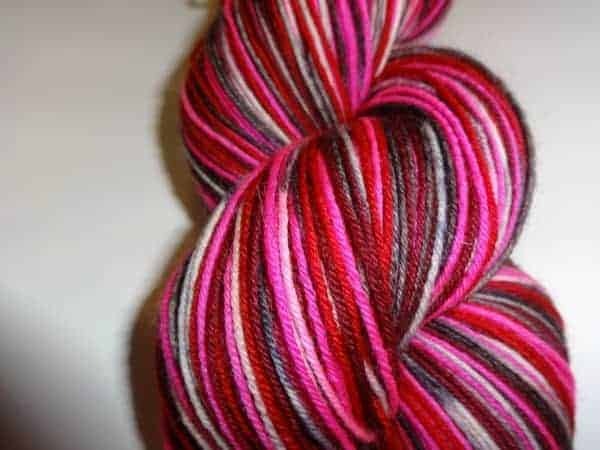 Shades of grey, burgundy, pink, red and black/white speckles merge on superwash BFL to mark the transition of Eliza Doolittle from a common flower girl to a lady. 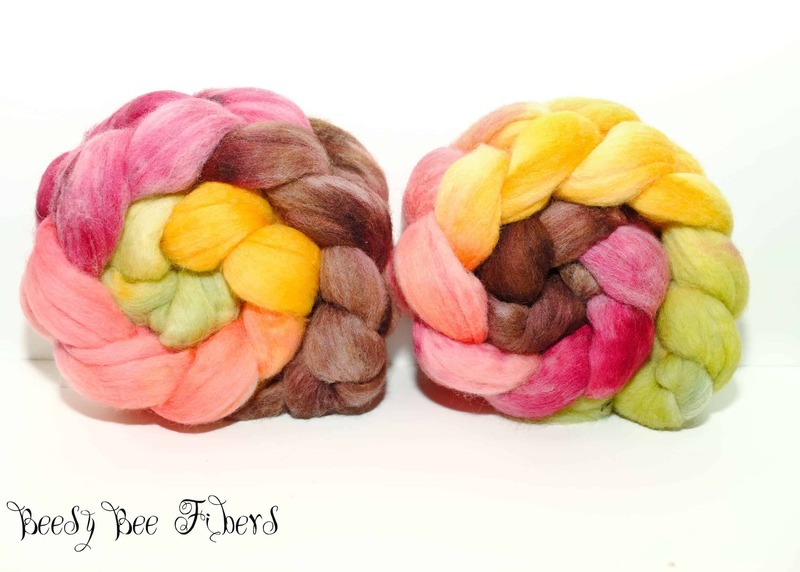 BeesyBee Fibers recently listed some fiber, including some of her old favorite colorways. Get them on 19 micron Merino, BFL/Silk blend, Falkland and more. Go beyond Merino. 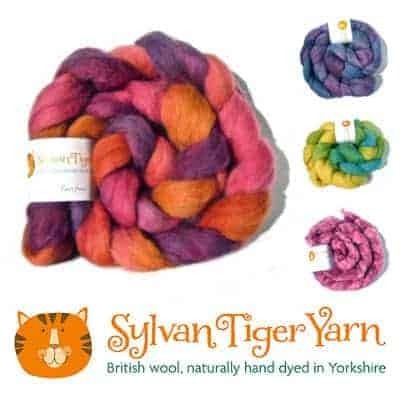 Katie of Sylvan Tiger Yarn, who dyes with natural dyes out of Yorkshire, England, has tons of fibre from a number of different British sheep breeds in her shop, including the soft BFL, the “sheepier” Jacob, woolen-spun Shetland and the shiny Wensleydale. 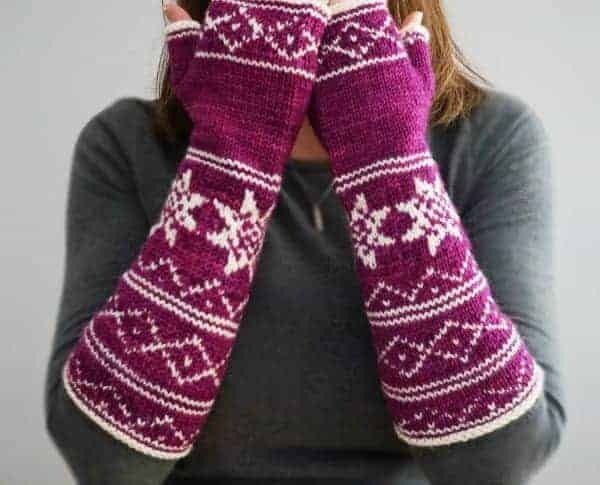 Stay super warm in Sundance, a new colorwork mitts pattern from Lara Smoot Designs. The sample was knit up in Knitted Wit’s Victory DK in Wild Orchard and Naked, but they can easily be resized by going up or down a needle size or two, or by using a lighter or heavier weight yarn. Use coupon code stupidgroundhog for $1 off of Sundance on Ravelry through Sunday, Feb. 15. It’s not a new iPhone, but this new electronic gadget from California will wind up the knitting world. 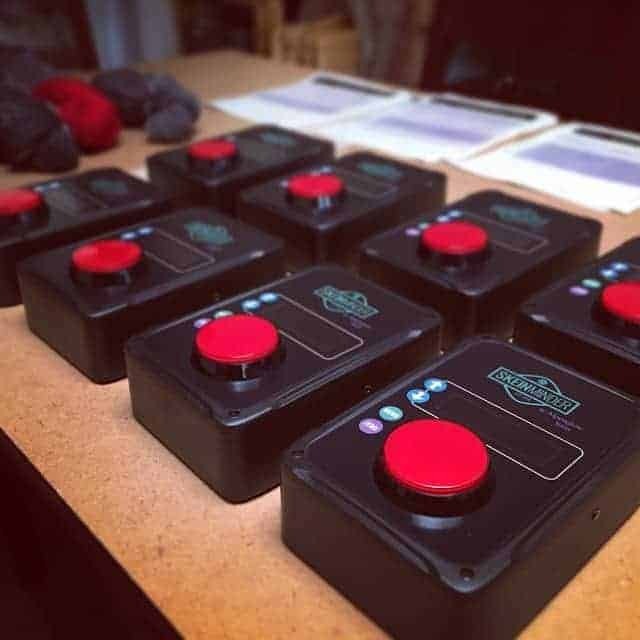 Dyer Carrie of Alpenglow Yarn is preparing to launch the SkeinMinder, a device that automates motorized skein winders, stopping them when the desired yardage has been wound. A Kickstarter campaign will launch later this month, with plenty of yarny rewards. Carrie will be demoing the device next week at Stitches West. This entry was posted in What to Stash and tagged cowls, discount, fiber, lotion, patterns, updates, yarn.